As a team of writing nerds, this piece hit us like a ton of bricks. We all learned about alliteration in middle school, but what about Tricolons and Synaesthesia? Let’s not forget about Diacopes, Anadiploses, or Transferred Epithets. The author, Felix Jamestin, is also building a comprehensive catalog of these writing techniques (using Airtable, one of our favorite tools). Tricolon: The successive use of 3 parallel words or phrases. As we see in the Marketing Land piece a few blurbs below, storytelling — and more specifically attention capture — is a science. There are reasons why some things move us to make decisions… and who wouldn’t want to hold the key to that? One group who definitely doesn’t want to be left out are politicians, who are hiring advisors and firms for “neuropolitical” consulting. It’s as cyberpunk as it sounds — consultants use electrical impulses in key brain regions and minute changes in facial composition to determine what you really feel about a candidate. And as we’ve seen in “your brain on patriotism” and IRL examples with our past presidents, fallback methods like war-patriotism lose steam in an increasingly transparent age. Politicians, marketers, and anyone else trying to capture attention have to turn to much more nuanced, predictable ways of getting our minds in tune. Cambridge Analytica you say? What’s that? *Whistling*. 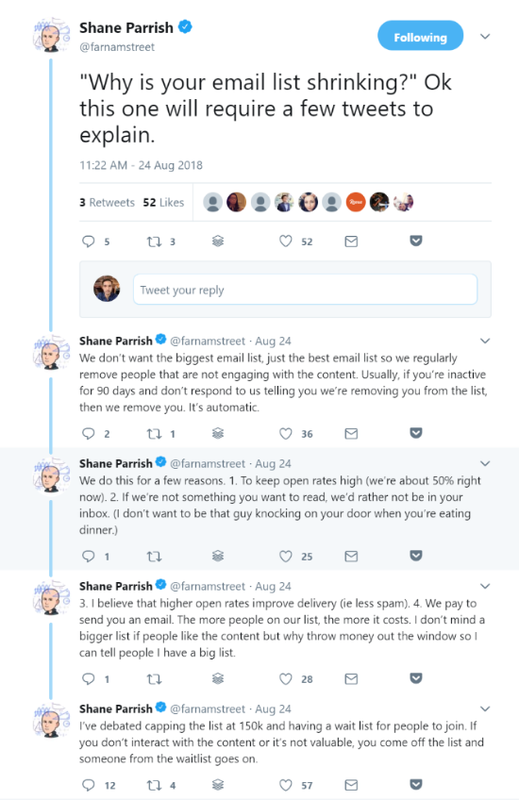 A Twitter thread from Shane Parrish that introduces the smart, but seemingly counter-intuitive, concept of capping your email list to maintain quality. 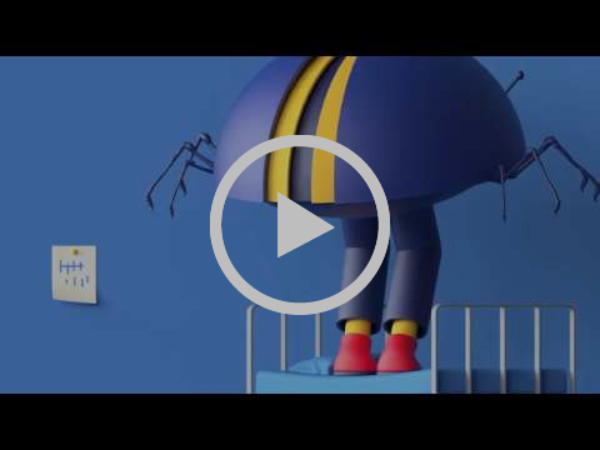 He reminds us of the oft-forgotten point: “We pay to send you an email”. Reminding yourself of this would hopefully change your mindset from top-line list growth, to building a healthy, engaged audience. Note: If you find this newsletter remotely interesting, we very highly recommend following Farnam Street. Oxytocin is “neurological substrate for the Golden Rule”. Metaphor is derived from the Ancient Greek word “to transfer”. Related reading (or, just maybe, we’re including this because it happened to us): Why You Cried at the End of Coco. We generally don’t like things that claim to replace the act of reading a book. There are no shortcuts, just read a book. We previously covered the value of incredibly short, highly specific newsletters (Think With Google’s Thought-Starter). As this is the last week of summer, we’ll leave you with one of our favorite non-professional newsletters: Pome. It’s simple. Every morning Matt Ogle sends you a poem. He wrote a blog postafter one year of doing this, and is now in his third year. It’s a fun, quick inbox diversion. Normally we reserve this section for a bit of corporate snark, but this week, we wanted to give you a bit of history. Andrew Nusca at Fortune gave us a history lesson on Twitter about magazine covers. 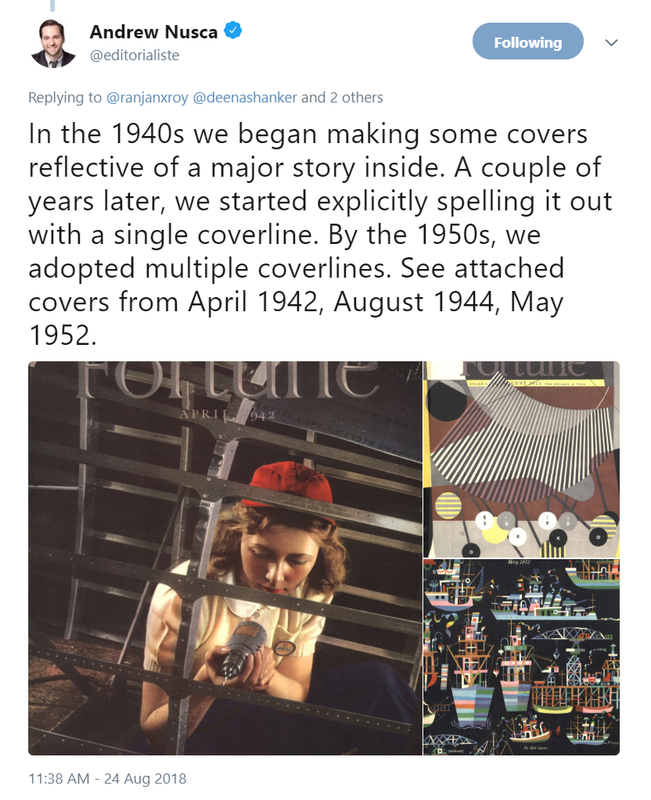 Apparently, prior to the 1940s, the cover art of magazines like Fortune or the New Yorker was not connected to any stories from within the edition. The idea of connecting a marquee story to the cover was a publishing innovation, which evolved into cover headlines, and then multiple “coverlines”. We wanted to expand a bit on the Shane Parrish tweet from above. You pay to send your emails. Unlike web traffic where the marginal server cost of an additional pageview is effectively zero, every additional email signup costs you money. So why do most marketing organizations still use top-line list growth as their key metric with email? 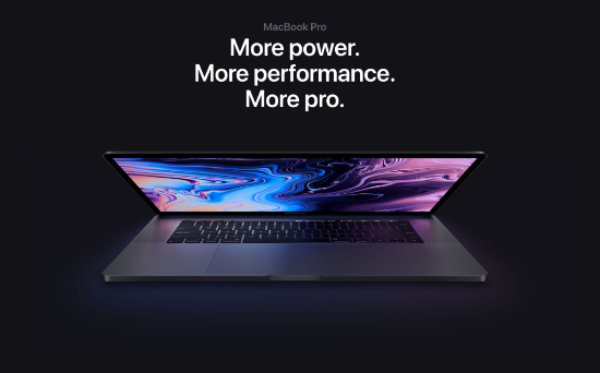 Unless you’re a media entity looking to sell advertising (and are directly selling audience), optimizing for list size is an almost unreasonable calculation. Open rate and click rates are nice entry-level metrics (and certainly better to assess performance than list size) but we are on a mission to make people understand just how much more value can be gleaned from your email data. Organizations are sitting on veritable gold mines of real people who have provided thousands of real signals regarding how aligned with your brand they are, what content they find valuable, and what the best way to reach them is. This information can help inform your entire content and marketing strategy, yet is generally glossed over. One of our team came up with the phrase “the answer is right under your newsletter”. We’re pretty sure that fits one of Felix Jamestin’s writing technique terms.